Have you noticed streaking along your home’s exterior or pooling water near the base of your house? If so, it’s likely time to invest in a new gutter system that will properly channel water and snowmelt away from your home and landscape, preventing the need for costly repairs. For premium gutters that are roll-formed on site to meet the precise dimensions of your home, turn to the skilled professionals at AAA Window – Siding Roofing. Based in Lincoln, IL, we’re a family-owned and –operated business with more than 30 years of experience in the home improvement industry, and we proudly serve homeowners throughout the Central Illinois area. 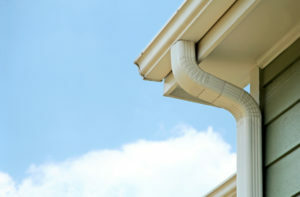 When you turn to us for your new gutter system, you can expect to receive custom aluminum gutters that will stand the test of time, helping ensure you won’t have to deal with common water-related issues, such as stains and peeling along your house’s exterior, structural damage to your home, or ruined landscapes. Furthermore, our gutters are available in a wide array of colors, so you are sure to find a color that will complement the look of your home. In addition to offering premium gutters, we sell a fantastic selection of gutter covers that block leaves, seed pods, and other debris from entering your system. This means that you won’t have to deal with system blockages and the unpleasant chore of cleaning out your gutters ever again. Our highly skilled team of installers who are dedicated to meticulous installations and top-notch customer service will properly and promptly install your new gutter system and gutter protection products. And, for added peace of mind, we back our labor with a lifetime service warranty. If you would like to learn more about the gutters and gutter protection products we offer to homeowners throughout Lincoln, IL and Central Illinois, contact AAA Window – Siding Roofing today. We’ll be happy to answer any questions you have.